JAYAPURA CITY - Persipura are one of the teams that should be given high appreciation of the Indonesia football arena. Because the Jayapura community pride team into a team that consistently develop local players. The team consistency in the development of local players is shown on the emergence of many young players from year to year. One proof of Persipura differences with other teams is when they decided to rely on the duo Boaz Solossa and Patrich Wanggai, which is a native of Papuan. In fact the duo proved successful. Boaz is now a top score ISL surpass foreign striker and naturalization. Patrich also showed progress, after the last game bought up three goals to ensure victory over the Persiram. 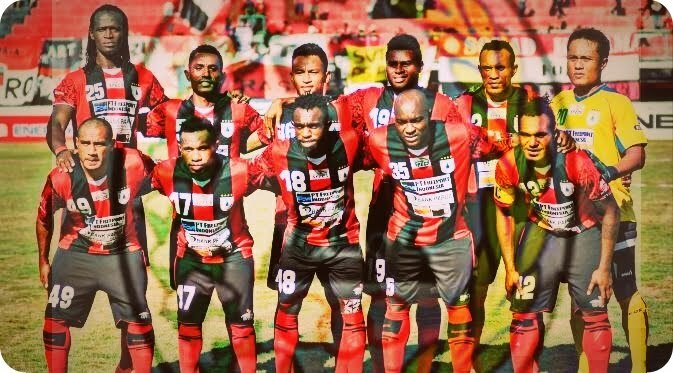 Persipura is now almost certain to win the Indonesia Super League (ISL), although still leaving a few games left. When asked to comment, coach Jacksen F Tiago said he was happy with his side’s performance this season.